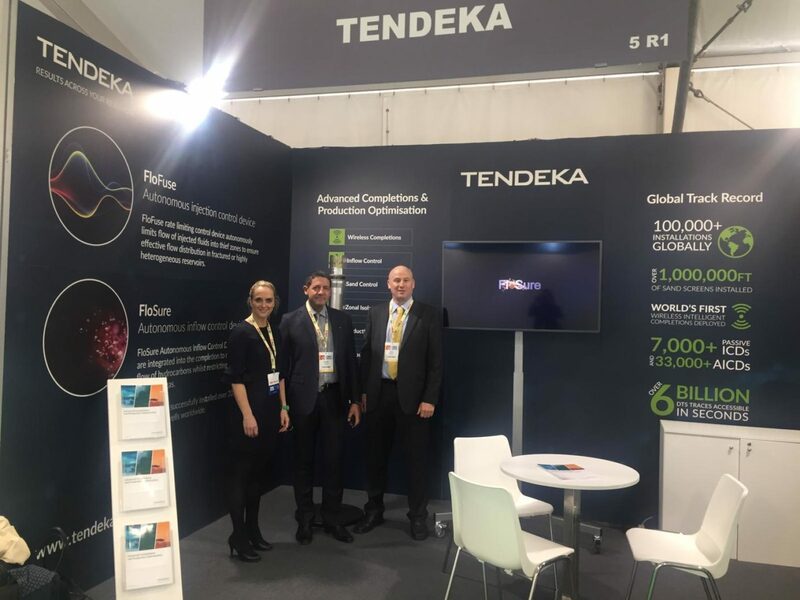 We recently exhibited at the Offshore Mediterranean Conference & Exhibition (OMC) in Ravenna, Italy, where the focus was on the strategic role that the Mediterranean area has to play in the supply of gas to meet future energy needs. Unsurprisingly, there was much talk around digital technologies, big data and innovation. ENI discussed the value added to its business through data science, supercomputers that analyse seismic data and the requirement to analyse increasing amounts of data for and during exploration and production. Many of the discussions around digitalisation were around this data and everyone agreed that data is valuable. There is, however, much still to be resolved around what to do with the masses of data that we are collecting! New technologies have driven this overabundance of data. This is certainly the case in the completions market where we operate and where distributed temperature sensing (DTS) and distributed acoustic sensing (DAS) provide real-time information from the well to allow better informed decisions to be made on reservoir production optimisation. Andy Nelson, our senior software engineer, presented on “Challenges in implementing the digital oil field – a real-world look at data retrieval, storage and efficient utilization”. An interesting fact from Andy’s presentation was that one nine-hour DAS survey generates 1TB of data per hour. That’s 468TB a year or the equivalent of 14,625 32GB iPhones! The presentation was focused around our ability to use the data where it is generated, perform the analysis at source and process it into small but meaningful subsets to share to the cloud for all global users to access. Another key theme around OMC was ‘energy transition’ and accelerating the move towards both renewable energy and cleaner energy sources like natural gas. The opening plenary session included a presentation by Simon Flowers, Wood Mackenzie’s CEO, which highlighted the importance of energy to the Mediterranean’s economic growth potential and the reliance on gas and wind as key sources. Countries within the Mediterranean region, including Egypt, Libya and Algeria, are well placed to provide gas to the major European market. This is very well aligned with our strategy to increase our market presence in the North Africa area and the reason for our recent placement of a dedicated resource in Cairo. Our technology portfolio has also been expanding in line with this shift towards both the digital oil field and the gas market with the introduction of PulseEight in 2018, our wireless intelligent completion technology. PulseEight works autonomously downhole to measure pressure and temperature, send the data wirelessly to the surface and control flow by functioning open or closed based on these measurements. Alternatively, communication from surface can trigger the devices to shut-off water from distinct zones or laterals. One exciting project coming up is our first installation of PulseEight technology within the Mediterranean region. Our clients recognise the value in using PulseEight as an alternative safety device within wells. The PulseEight EAV (Electronic Ambient Valve) will detect a loss of well control or emergency shut-down and close, which provides operators with the benefits of increased reliability, improved health & safety and production optimisation. The OMC conference was a great platform for the team (myself, Andy and Giovanni D’Amico) to meet numerous clients and engage with operators to identify where our advanced completion technologies can help increase productivity. We look forward to working together in this growing market.